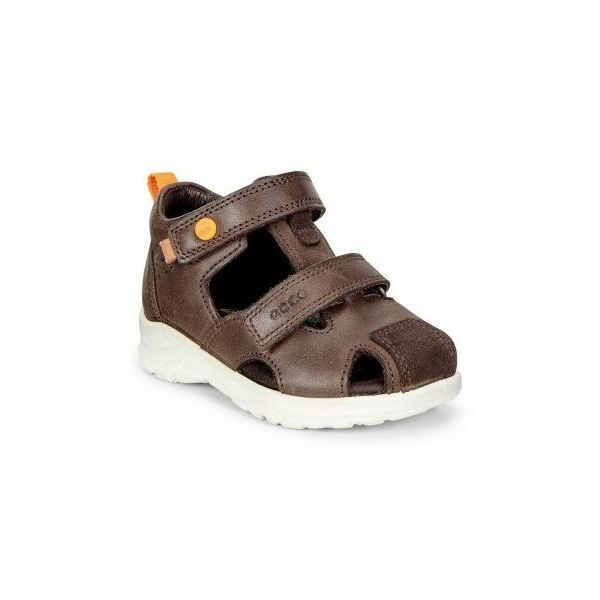 This sandal is all leather and leather lined and with the 'back in' provide good support and a half toe to protect little toes, and are therefore perfect as a first sandal for any toddler. 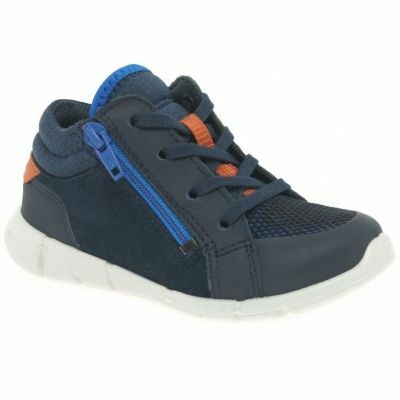 Ecco shoes have flexible, lightweight soles for easy walking and are made from top quality leather. They have velcro adjustable fasteners to ensure perfect fit. Leather lining is moisture absorbent and breathable with an exclusive look. 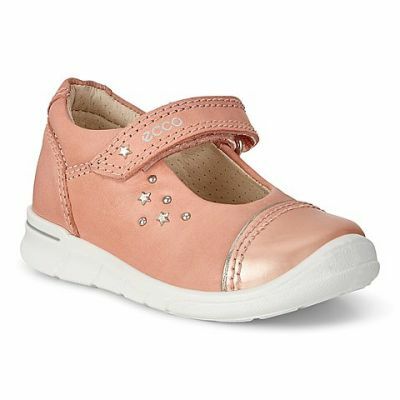 Soft and comfortable, Ecco shoes provide optimal movement for growing feet.